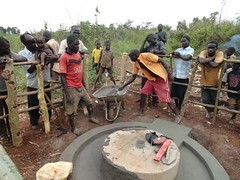 Lamvorongur village is located in the rural setting of the Uganda’s mid-western region. 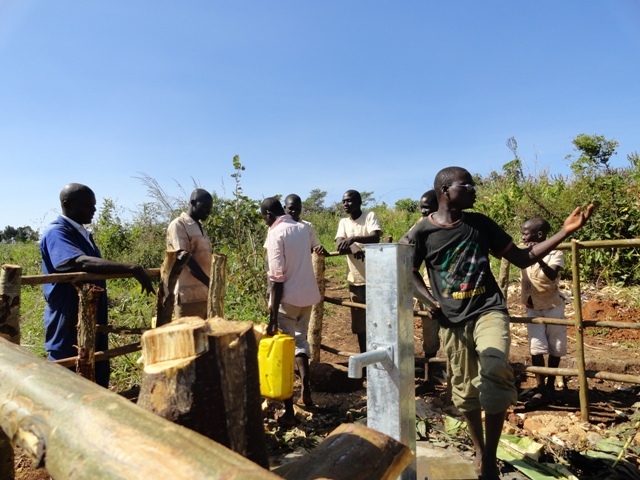 The diverse village includes people who have moved to Kiryandongo District from areas such as northern Uganda, the West Nile region, as well as the eastern portion of the country. 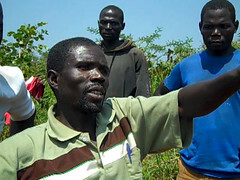 They are farmers, and maize and cassava are their crops of choice, growing them in large quantities. 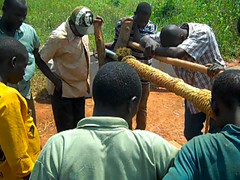 In addition to forming staples of the local diet, cassava and maize is sold to traders who come by the village in large trucks during the harvest season. 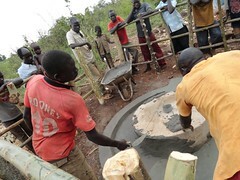 With this opportunity to profit from farming, the people have come to Lamvorongur village to live better lives. 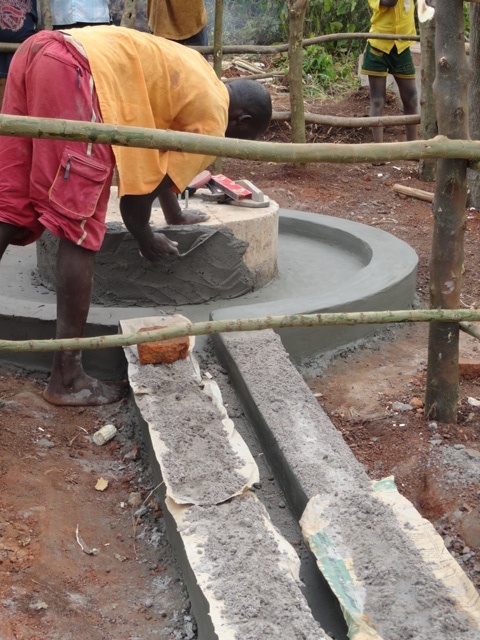 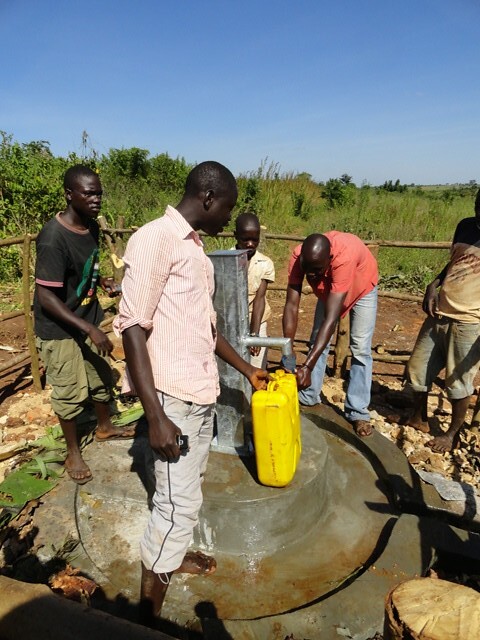 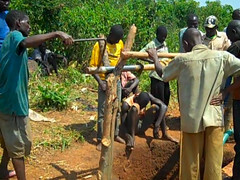 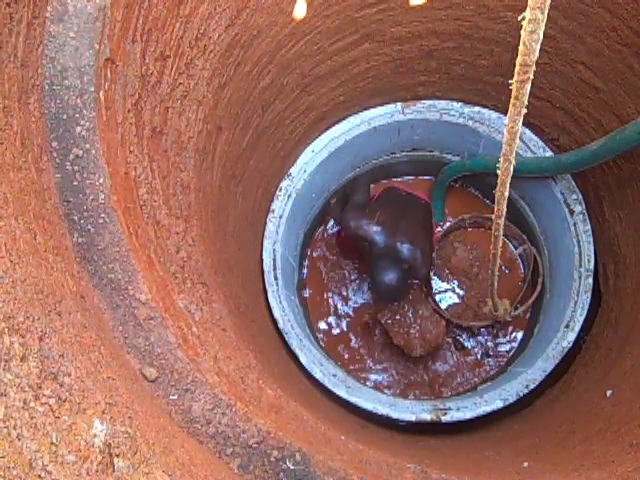 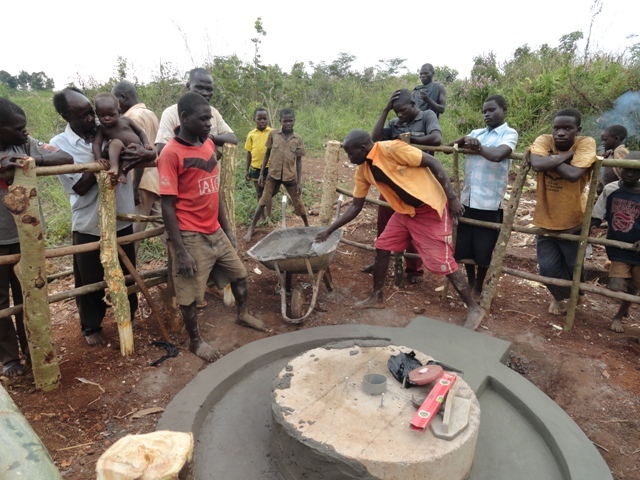 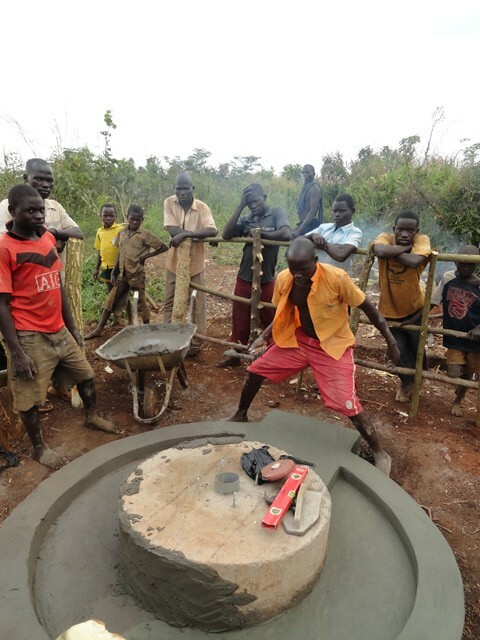 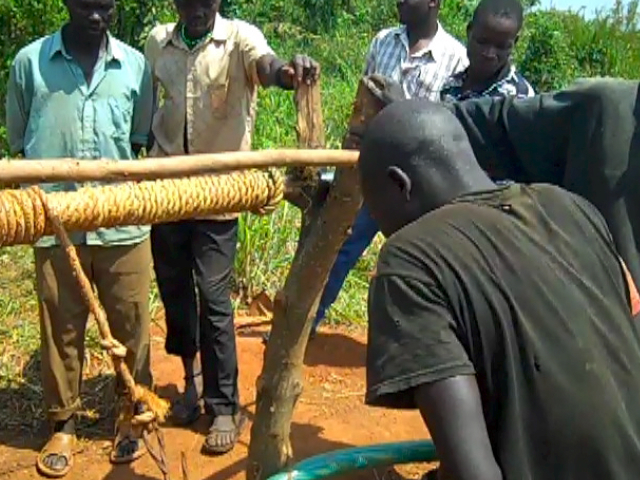 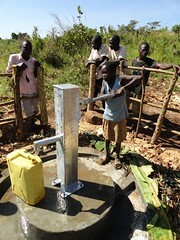 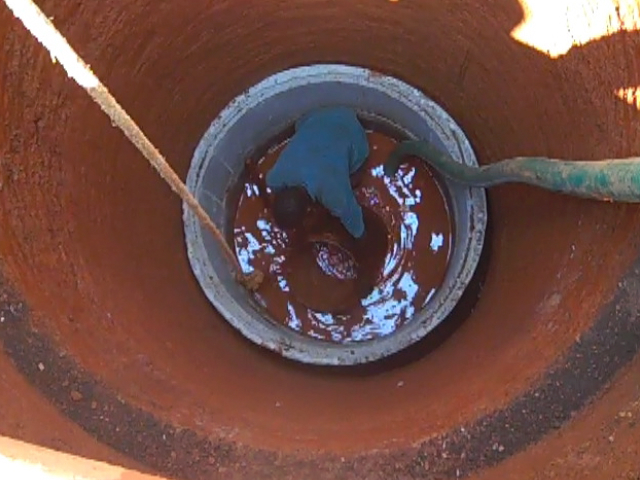 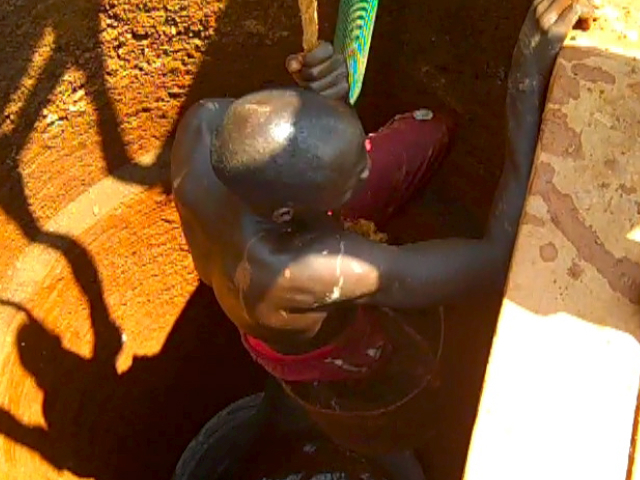 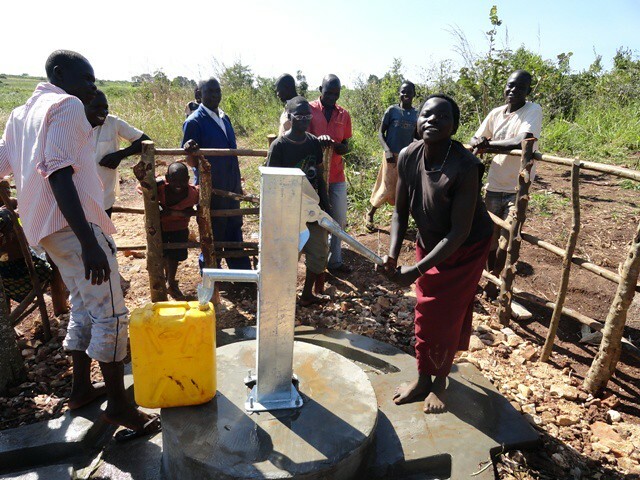 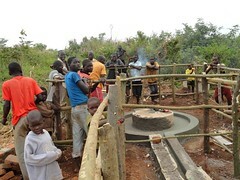 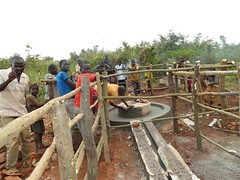 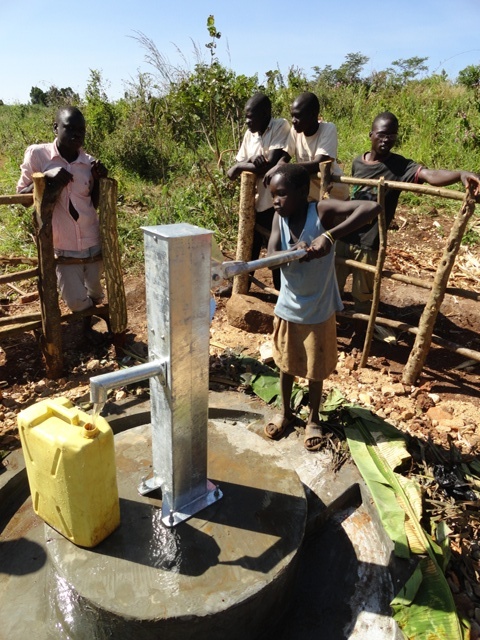 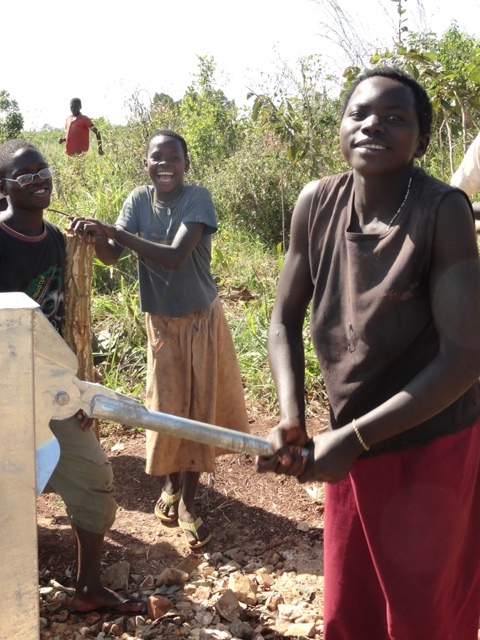 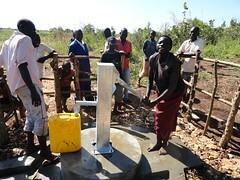 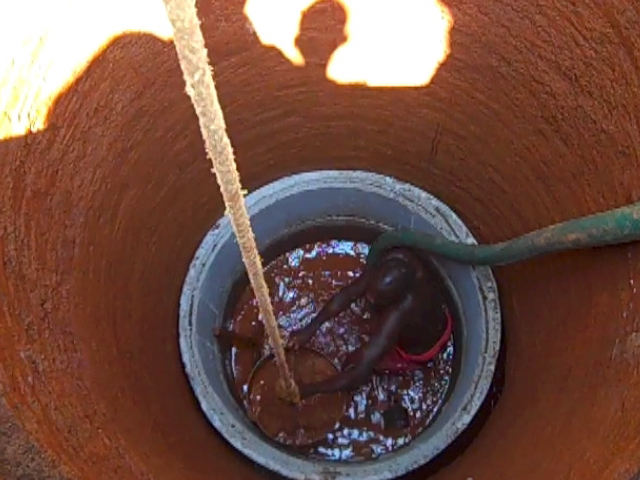 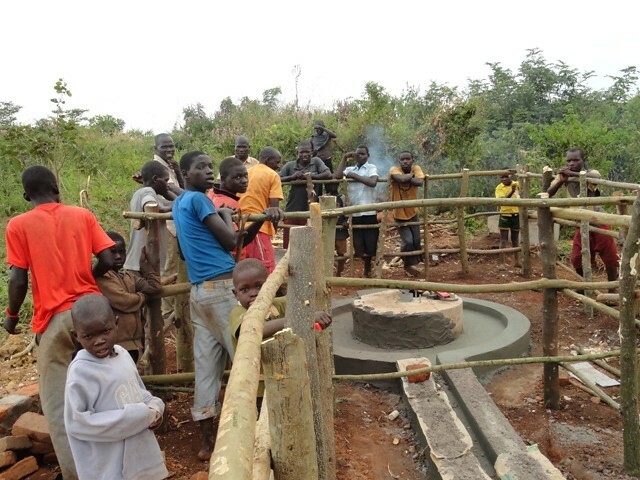 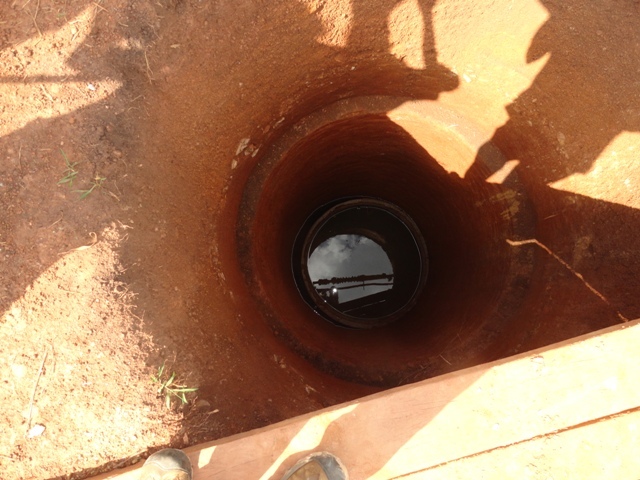 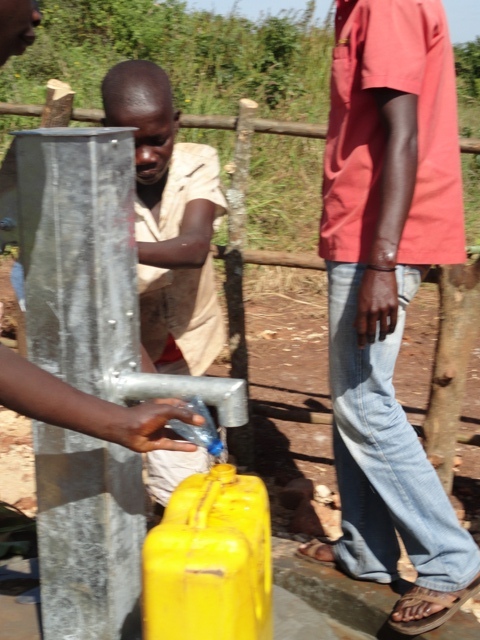 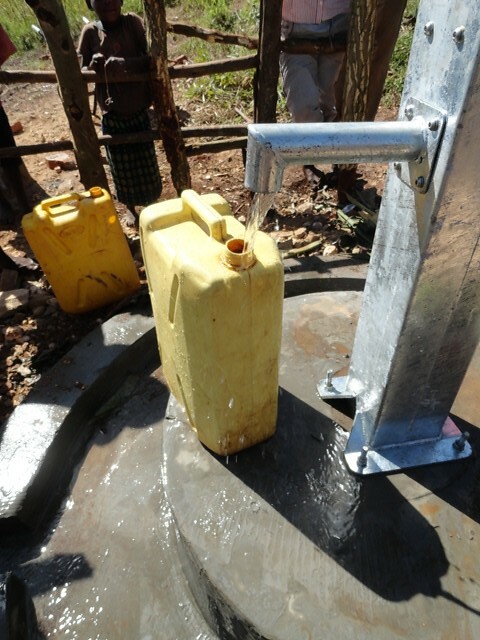 Busoga Trust began construction of a second hand-dug well in November. 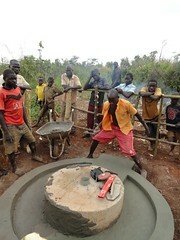 The people of Lamvorongur were very active in helping with the construction as the video below illustrates. 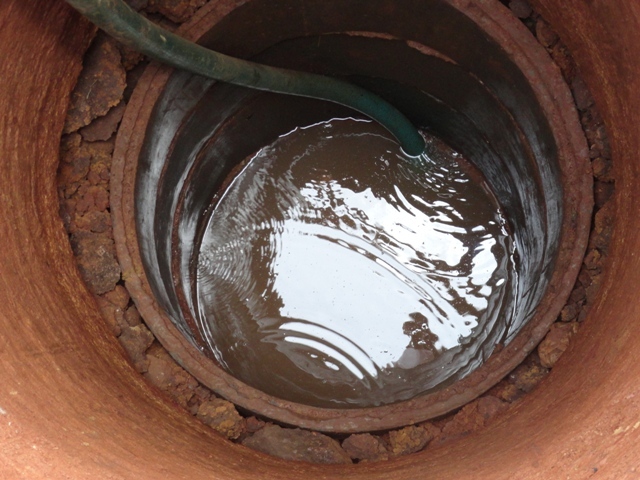 We struck the water table at 13 feet but had to insert concrete rings into the well due to colapsing soils. 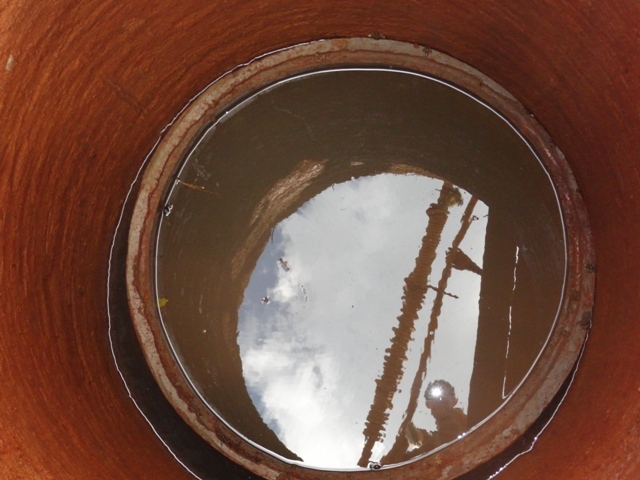 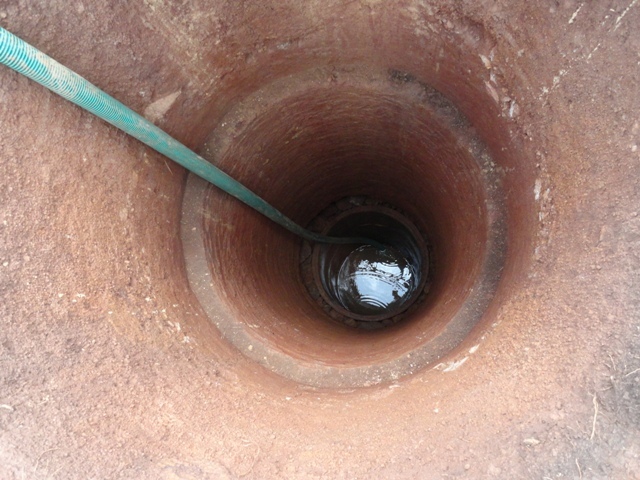 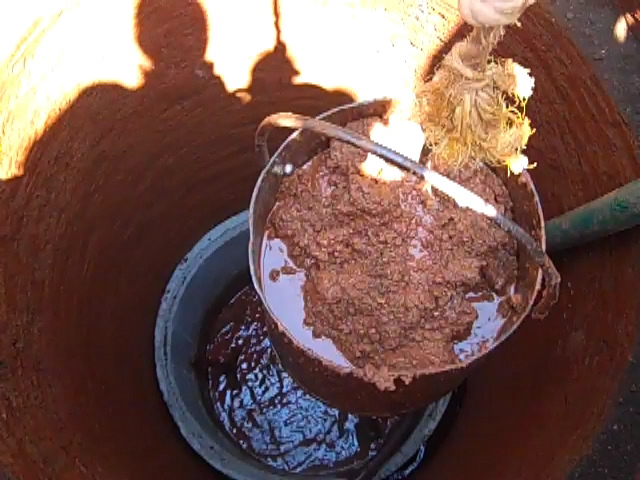 The final depth of the well is 23 feet and we installed the pump on December 22, 2011. 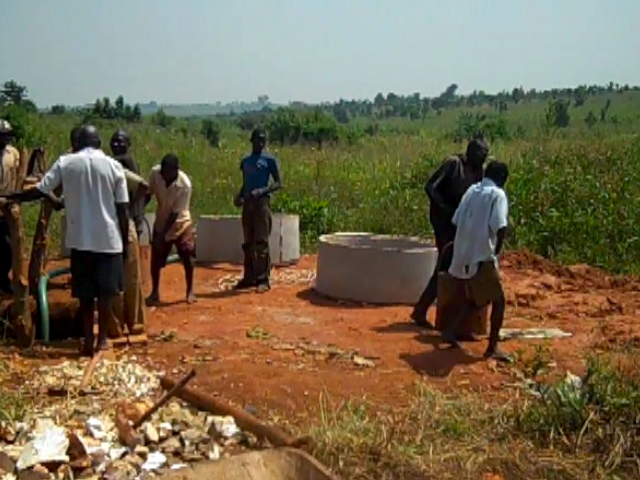 Busoga Trust will continue working to improve sanitation in Lamvorongur by helping dig latrines. 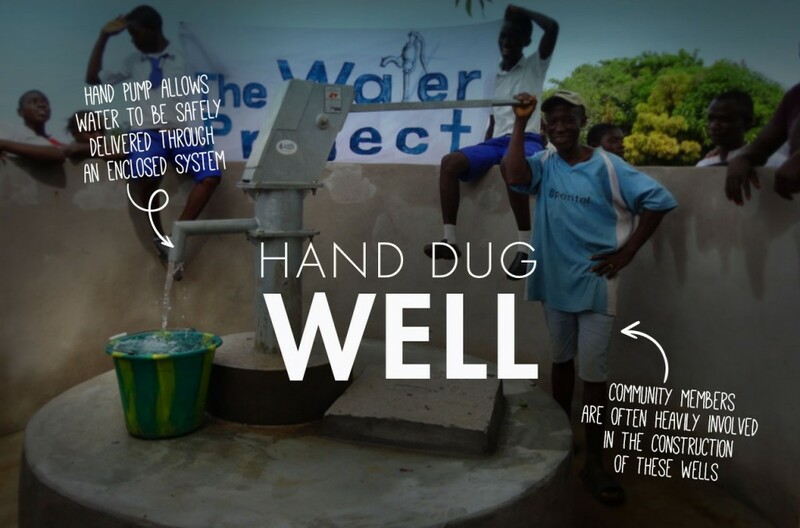 Experienced social workers have been working with the community to create a more sanitary overall environment. 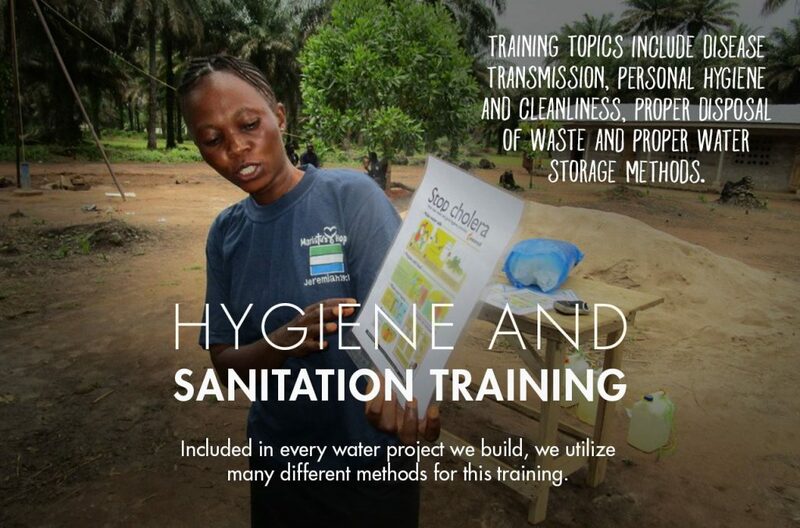 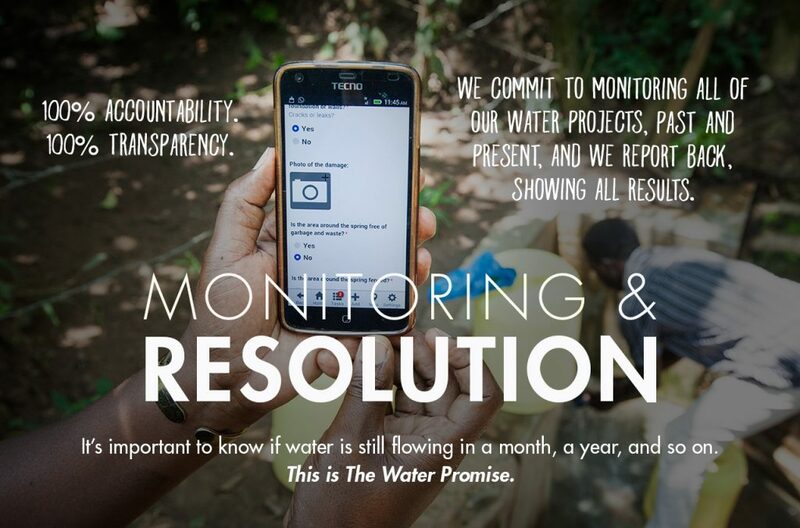 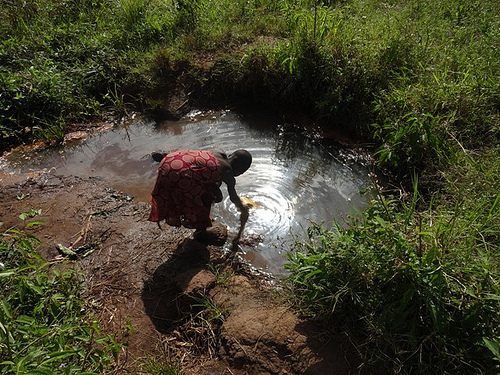 The health impacts of clean water and improved sanitation we expect will be felt for many years to come. 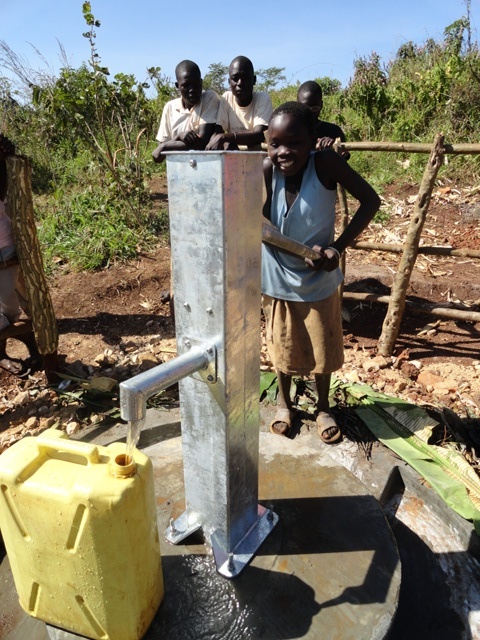 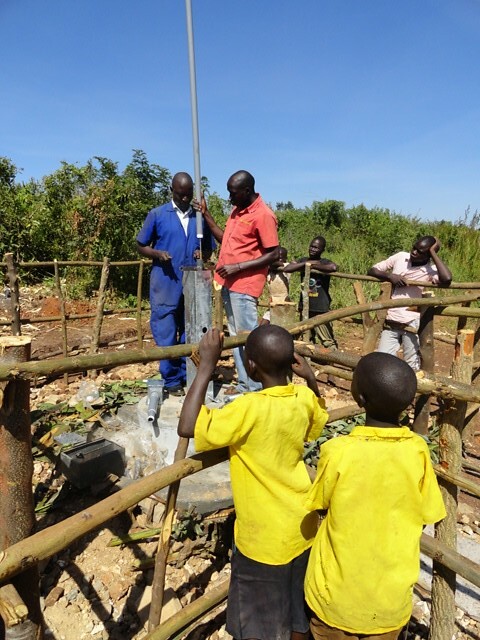 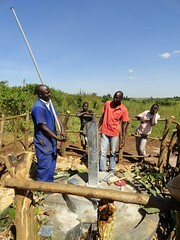 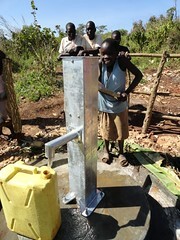 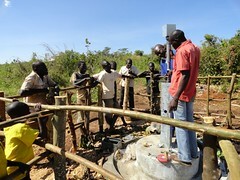 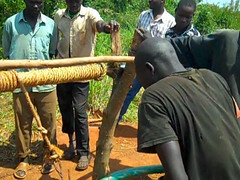 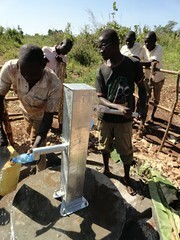 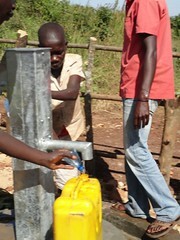 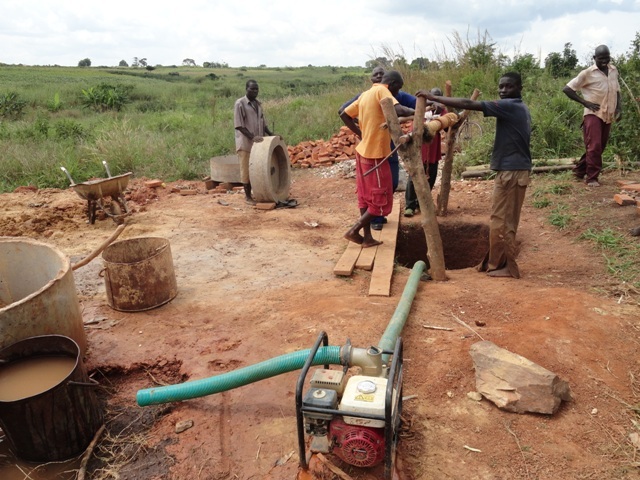 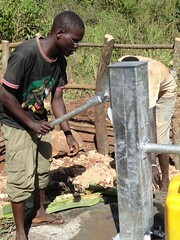 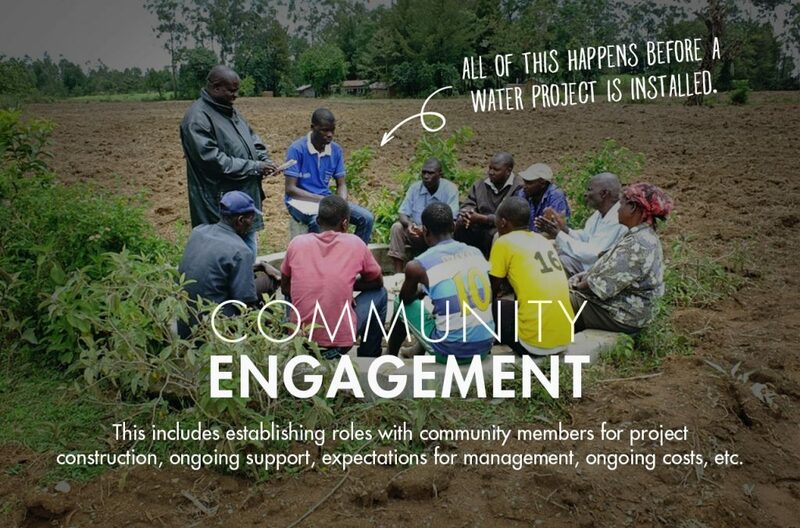 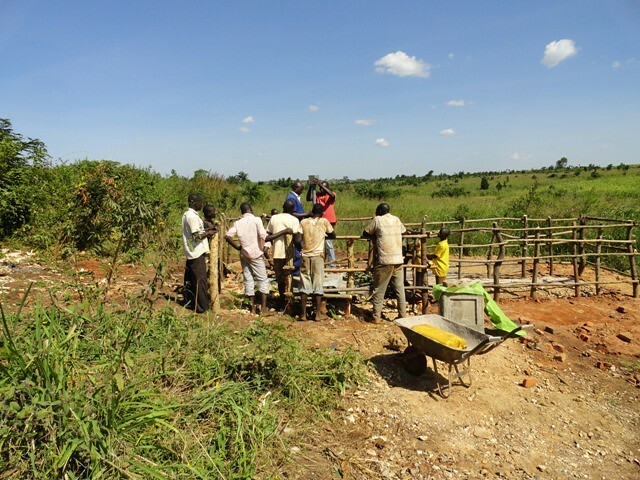 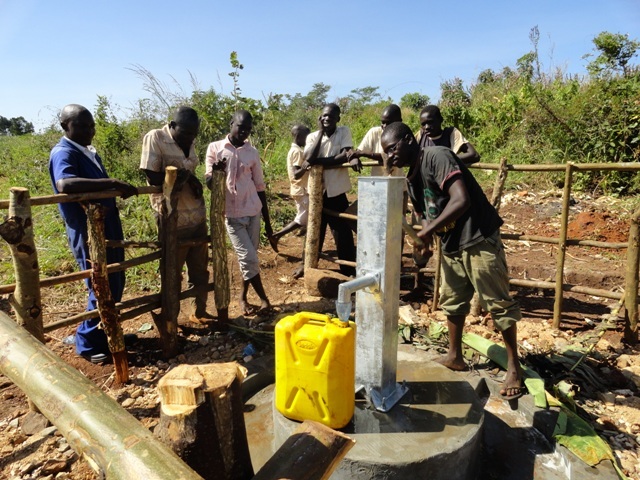 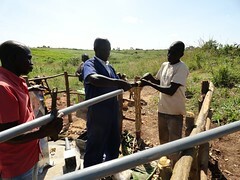 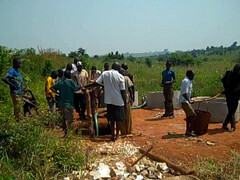 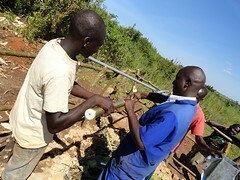 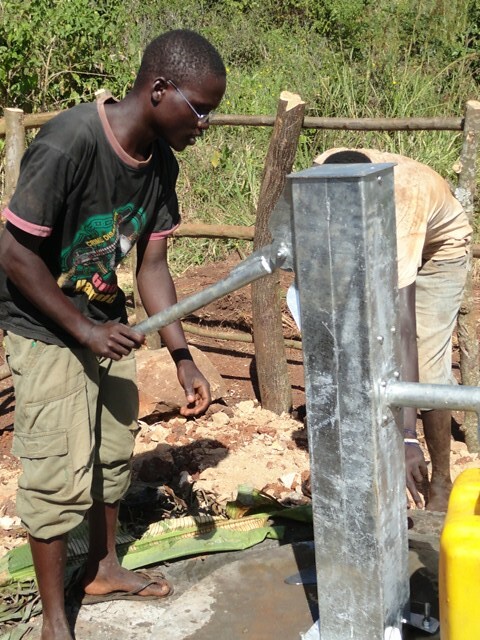 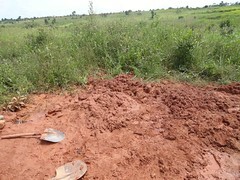 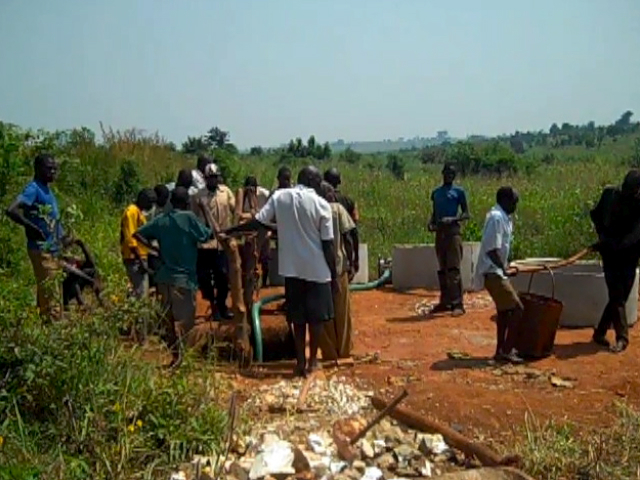 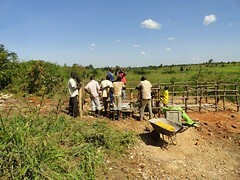 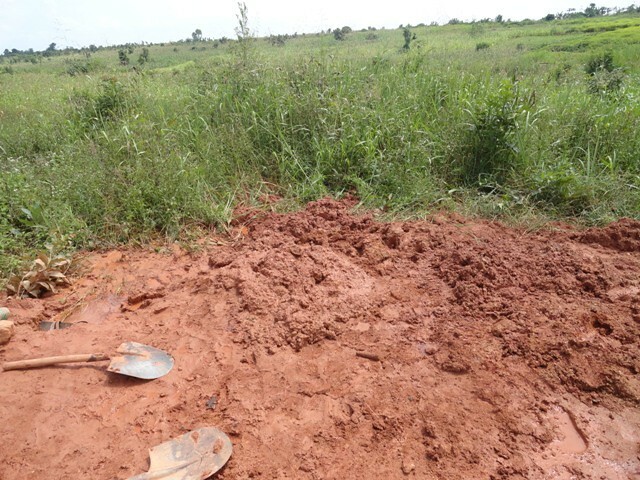 Construction has begun on a water project for the Lamvorongur – Wayenda in Uganda. 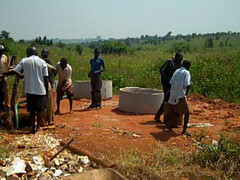 We’ve posted picture, video and a community profile.